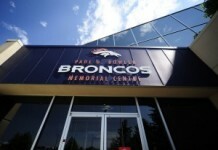 It’s clear the Broncos have some changes to make this offseason, and they could reach to the core of the franchise. While there are some big-name stars on the roster — Von Miller, Aqib Talib, Demaryius Thomas, etc. — the Broncos are lacking in talent at several key positions, particularly on the offensive side of the football. So, with nearly $40 million in cap space and the highest draft pick the team has had in years, which five positions will the Denver Broncos be looking to upgrade the most? Duh. The Broncos’ problems on offense extend well past the quarterback position, but it’s certainly a major issue. 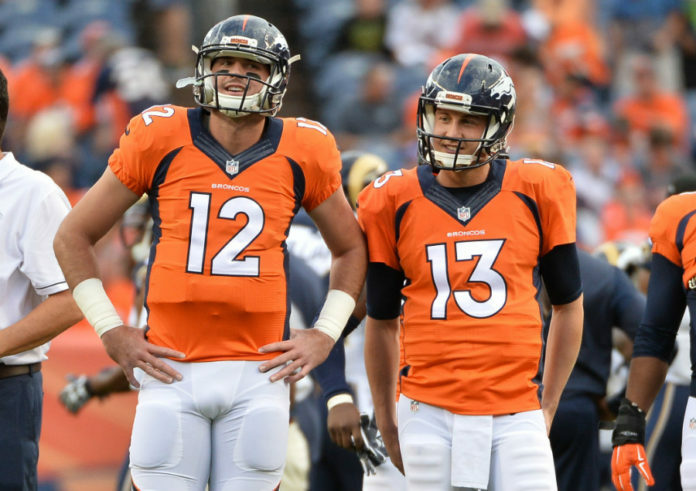 Both Trevor Siemian and Paxton Lynch will be in the discussion for the starting job, but if John Elway wants to take a major leap forward, he could look to bring in a veteran like Tony Romo or Tyrod Taylor. C.J. Anderson has the big-time contract and Devontae Booker is the high draft pick, but don’t be surprised if there’s a new face in the backfield next season. While they’d have to eat some money ($1.7 million in dead cap), the Broncos could save $1.3 million by cutting C.J. in the offseason, which could be an attractive option given his injury history. And although Booker had an impressive game against the Raiders in Week 17, his rookie season as a whole was a disappointment. 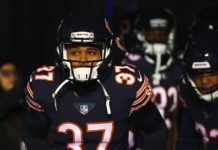 Whether through the draft or in free agency, the Broncos will look to add to their offseason running back competition. Virgil Green, Jeff Heuerman, A.J. 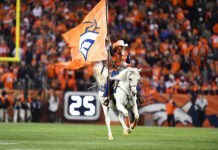 Derby — the Broncos don’t have an impact tight end on their roster, and they’d be well served to find one. Green has had every opportunity to prove himself as more than just a blocker, and he’s failed to do so. Heuerman was so bad that the team traded a pick to New England so they could replace him with Derby, a guy who never earned a reception in a year and a half with the Patriots. A pass-catching tight end would do wonders for whoever is starting at quarterback next season. Everyone. Everywhere. The Broncos offensive line is a mess, and it needs a full-scale reboot. Even their best player — Matt Paradis — is set to undergo major hip surgery this offseason. Who knows how he’ll recover or what it means for his long-term future? If Elway spent every one of his draft picks on a lineman, there wouldn’t be many complaints. Sylvester Williams, who will be a free agent this offseason, is all but gone. As the Broncos starting defensive tackle, he’s failed to live up to the billing, playing a big role in the team’s disappointing run defense. Defensively, most everyone will be back next season, but an improvement at defensive tackle would be huge. It’s not a player, but with the news of Kubiak’s retirement, head coach will clearly become a major storyline in Denver. Despite the team missing the playoffs, the Broncos are easily the most attractive coaching vacancy in the league, and could have their pick of the litter.